Drugs are being priced out of reach. The new web platform, Shareholder Democracy, will enable millions of Americans to “vote” on pending 2019 shareholder resolutions at six pharmaceutical companies. 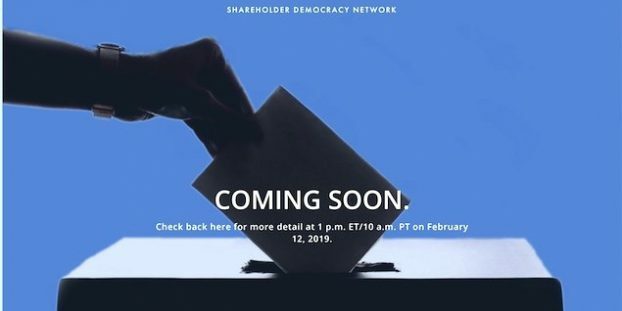 Shareholder Democracy Network and its drug-pricing ballot for stakeholders will be launched during a phone-based news conference at 1 p.m. ET/10 a.m. PT on Tuesday (February 12). 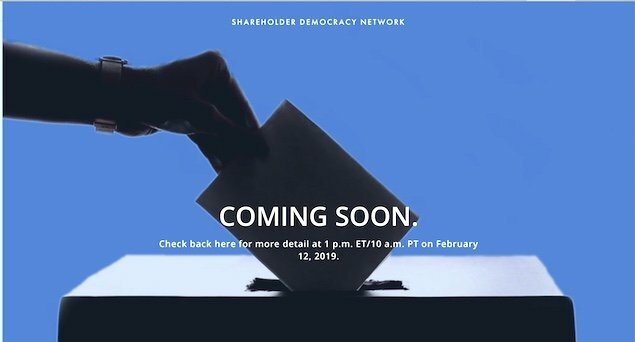 The goal of Shareholder Democracy Network is to allow not only direct company shareholders, but also a wider range of stakeholders (including mutual fund investors and consumers of products, such as prescription drugs), to speak out and be heard. Future Shareholder Democracy Network ballots will focus on such issues as guns safety, labor practices, climate change, and opioids. The Shareholder Democracy Network “drug pricing ballot” focuses the on AbbVie, Biogen, Bristol Myers Squibb, Eli Lilly, Johnson & Johnson, and Pfizer. Join this live, phone-based news conference (with full, two-way Q&A) by dialing 1 (877) 418-4267 at 1 p.m. ET/10 a.m. PT Tuesday, February 12, 2019. Ask for the “drug pricing/Shareholder Democracy Network” news event. Take Action: Shareholder Democracy‘s efforts to stem outrageous price increases on drugs can succeed only if you help it go viral on Facebook, YouTube, Instagram, Twitter, Reddit, WhatsApp, Linkedin, etc. I urge you to participate in the event and then start posting. We can make a difference if we can reach the people who vote shares at pensions and mutual funds, as well as individual investors and proxy advisors. Public opinion makes all the difference. David Apgar, the founder of Shareholder Democracy Network and former small-business fund manager and author of Risk Intelligence (Harvard Business 2006). Heidi Welsh, the founding executive director of the Sustainable Investments Institute (Si2), has analyzed and written about corporate responsibility issues since the late 1980s. A streaming audio recording of the news event will be available on the Web as of 5 p.m. ET/2 p.m. PT on February 12, 2019 at Shareholder Democracy. AARP found the price of prescription drugs increased four times faster than inflation in 2017. One in 4 Americans report having trouble paying for prescription drugs they need and 14 percent report not being able to fill their prescriptions. The pharmaceutical industry association claims hospital markups drive drug prices and pharma executives argue those prices enable innovation, though the industry’s claims and arguments are disputed.